The Primeiro Congresso Brasileiro de Carvão e outros Combustíveis Nacionais (first Brazilian Congress of Coal and other National Fuels) was held in 1922. The Congress embodied a broad discussion about the economic exploitation of coal in Brazil, the importance of bituminous shale, the use of alcohol as fuel, the studies on the occurrences and the investigations in progress on oil prospecting. Such strategic national resources for modernizing industrial projects, stimulated by World War I, had already been the objects of systematic research by geologists, engineers, and technicians of the Geographic and Geological Commission of São Paulo since the late nineteenth century. This article presents aspects of the papers and resolutions on oil in that Congress. 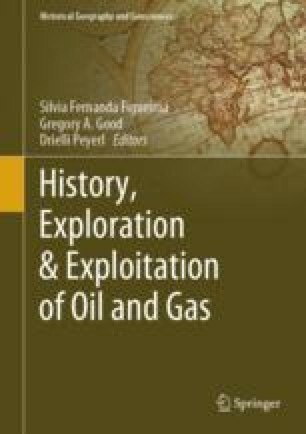 It considers the Congress as an important mechanism to trace the conceptual frameworks related to discussions about the circulation of knowledge and technical and scientific practices regarding the exploitation of petroleum. The article argues that this Congress was one of the legitimizing strategies of the research and effective actions by the group of scientists and technicians associated with the Geological and Mineralogical Survey of Brazil, in its dialogs with the State and business groups. These strategies were focused on strengthening the geological investigations regarding the energy resources of the country. The author thanks Figueirôa SFM de, Beverly Young, Valter Ponte and the support of the CNPq to the Research Productivity Project—proc. 306046/2014–8. Oceans—strategic chapters in the history of geological sciences (1870–1950) (2015–2018), on which this paper was produced and based on.